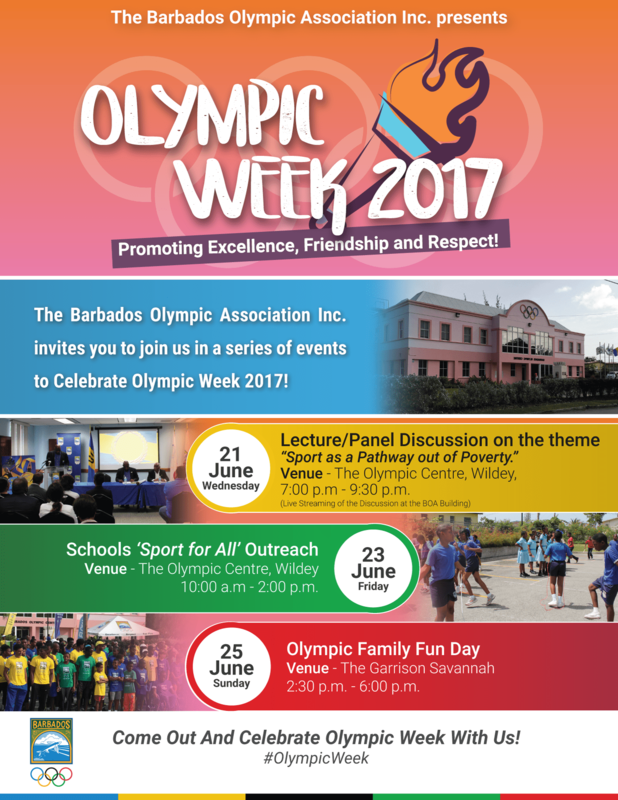 Olympic Week 2017 Celebrations – Barbados Olympic Association Inc. The Barbados Olympic Association Inc. launches its week of activities to celebrate Olympic Day 2017. Every year, the BOA organises an activity or series of activities that bring out the people of Barbados to join the rest of the world in celebrating Olympic Day. Olympic Day was introduced in 1948 to commemorate the birth of the modern Olympic Games. The goal of Olympic Day is to promote participation in sport regardless of age, gender or athletic ability. Since being introduced, Olympic Day has promoted the idea of Olympism across the world. Activities are organised by the National Olympic Committee (NOC) in each country. This year, we aim to Promote Excellence, Friendship and Respect through our celebrations.